What’s in a name? Everything, according to fans of Blizzard. The game developer, most famous for World of Warcraft, was planning to transition away from using the Battle.net name for its online services. However, fans resisted such a move, and Blizzard has now decided to meet them halfway. In September 2016, Blizzard announced that it was dumping the Battle.net name. This was all about branding, with the company seeking to bring everything under the Blizzard name. So while the technology powering Blizzard’s titles would remain the same, the name would change. Unfortunately for Blizzard, the switch away from Battle.net didn’t go down well. Players who have been using the Battle.net moniker since 1996 weren’t ready to accept the name change. 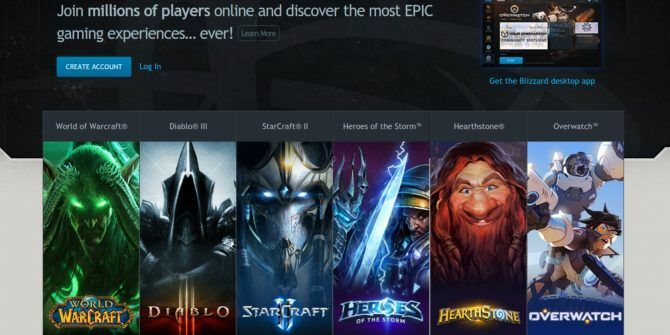 Even Blizzard seemed to struggle, with Battle.net still showing up in promotional material. This may seem like unimportant news. And indeed it will be to anyone who doesn’t play Blizzard games. However, to Diablo III, StarCraft II, and Hearthstone players, Battle.net means something. And Blizzard was dumb to even consider changing the name. The drive to unify the branding across its products and services was never going to eradicate the nostalgic pull Blizzard fans have for the Battle.net name. So Blizzard listened to its fans and simply admitted defeat instead. It’s this sort of thing that can help a company build a good reputation Which Tech Company Has the Best Reputation? Which Tech Company Has the Best Reputation? The Harris Poll has announced its Reputation Quotient Ratings for 2017. This sorts America's 100 most visible companies by reputation. The results are likely to surprise you... Read More . Do you regularly play Blizzard games? If so, which ones? Are you still addicted to World of Warcraft? Or have you moved onto playing Overwatch? What do you think of Blizzard’s decision to keep Battle.net around? Do you even care? The comments are open below! Explore more about: Online Games, World of Warcraft.